Welcome to Osaka Guesthouse NEST!! 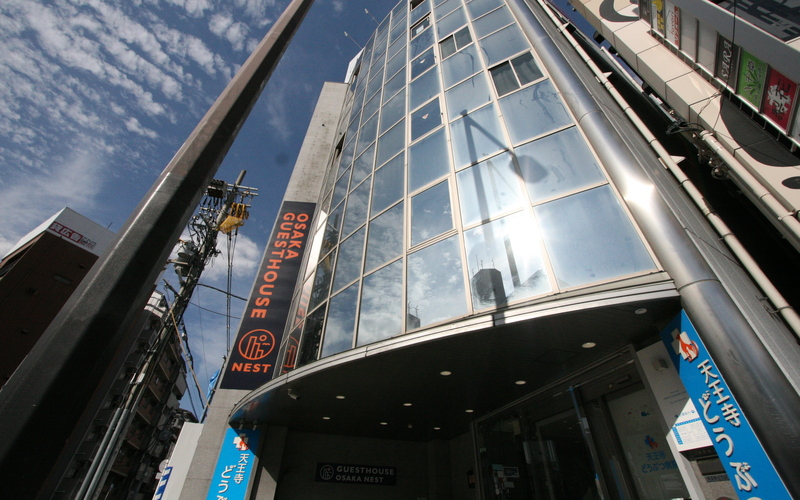 *13 mins walk from JR Tennouji Station. Those cities are touched from Tennoji Station. Shinsekai and Shitennouji Temple(5 mis by JR line). 1.check-in time: 15:00 ~ 23:00 (Late check in until 1:00, please e-mail us in advance. In this case, we charge 500 yen per a person for late checking in fee ) 2.check-out time: ~ 10:00 3.reception hour: Reception business hour: 07:30 ~ 23:00 4.payment:Cash(JPY),Credit Card(Diners/AMEX/Master/VIZA)American Express Discover? 5.cancellation policy: * 100% CHARGE 100% of room fare shall be charged if you inform us 3 days prior to the accommodation date. * NO SHOW If we could not confirm your arrival by 24:00 in the midnight, we consider the guest as NO SHOW CASE and we cancel the booking. Please note that we charge 100% of stay fee. 6.Age restrciton: We are afraid that we could not accommodate children under 18 years old without parents. 7.No smoking 8.Pets are not allowed.